This week we will be launching a couple of brand new games at Fly Casino. 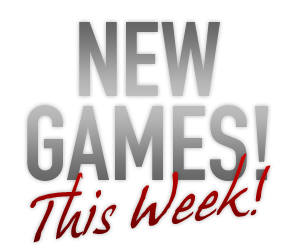 They will be released early next week so make sure you login and search for the new games. We have a wide variety of games for our members but we never sit back and are constantly looking to give each and every member the best experience possible. The games will be released over a couple different days so make sure you check them out. Wow last Saturday our Your Choice bonus was so popular we had to bring it back for our members. So on Saturday January 25th, 2014 00:00GMT until 23:59GMT on your first deposit of $/£/€10 or more our members are eligible for our exciting Your Choice bonus. Saturday January 25th, 2014 00:00GMT until 23:59GMT on your first deposit of $/£/€10 or more our members are eligible for our exciting Your Choice bonus.